You are currently browsing the archives for the John Conyers category. Let’s be clear about something. When Doug Jones won the Alabama special election Tuesday night, he won because Steve Bannon’s candidate did what Bannon’s candidates always do. Bannon’s candidate lost a race that mainstream Republicans couldn’t lose in a million lifetimes. Predictably, Democrats are misreading what tonight’s results mean. Tuesday night’s victory is the result of a terrible, far-outside-the-mainstream, candidate who thought he had a mandate from God misunderstanding how toxic he’d become. If Democrats think they’ll get to run against a lengthy list of candidates that share the same qualities as tonight’s loser has, they’ll quickly be disabused of that foolish notion. Martha McSally isn’t a clone of tonight’s loser. Republicans have already recruited top-tier candidates to run against vulnerable incumbents in Missouri, Florida, Indiana, North Dakota, Wisconsin, Montana and West Virginia. Any thought that this will turn out well for Democrats in 2018 will quickly be dispatched. The Democrats’ seismic victory Tuesday in the unlikely political battleground of Alabama brought jubilation, and a sudden a rush of confidence, to a party that has been struggling to gain its footing since Donald Trump won the presidency 13 months ago. Democrat Doug Jones’s triumph, the result of a vigorous turnout of the party’s traditional voters and of Republican splintering in a deeply conservative state, sent a thunder clap across the national political landscape that Democrats hope will signify an emerging comeback at the start of the 2018 midterm election campaign. There’s no disputing that Democrats are feeling exhilarated after tonight’s victory. That thrill of victory won’t last long, though. Republicans will pass the tax reform bill before Jones is seated as Alabama’s junior senator for the next 3 years. The best news of the night for Republicans is up for debate. Arguments could be made that the best thing is that Republicans don’t have to run with Bannon’s loser strapped to their neck. That’s certainly a positive. Another argument that could be made is that mainstream Republicans can now emphasize tonight’s defeat as proof that Bannon’s candidates are losers in primaries, thereby giving top-tier candidates a better shot at winning primaries. Still another argument could be made that the best news is that Republicans rejected sexist pigs even though it hurt their party. Democrats tried claiming the moral high ground when Al Franken and John Conyers resigned amidst allegations of sexual harassment. It didn’t take long for Republicans, President Trump especially, to highlight that a special election in Michigan would replace Conyers with either his son or his nephew and that Minnesota’s DFL governor would pick a DFL legislator to replace a DFL senator. In other words, Democrats didn’t stand to lose a thing. Republicans voted their values despite the fact that they lost an important Senate seat. Finally, it’s worth noting that ‘moderate’ Democrats will have to defend their voting in lockstep with Bernie Sanders and Elizabeth Warren on judges and on cutting taxes. They also have to explain why they threatened to shut down the government. Over the past few days, liberals have repeatedly quoted the phrase “that the office of President will never fall to the lot of any man who is not in an eminent degree endowed with the requisite qualifications.” Early in John Conyers’ op-ed, the aging Democrat, cites that quote, too. What hasn’t gotten discussed is who determines what defines those “requisite qualifications” are. In this instance, Democrats insist that Donald Trump is lacking in those amorphous qualifications. That’s a rather risky proposition. Democrats literally insisted that Hillary was the most overqualified presidential candidate in history. Forgive me if I don’t trust their opinion, especially after watching Mrs. Clinton get a US ambassador killed by reducing the security forces in the country. Forgive me if I think that Mrs. Clinton was the ultimate corrupt politician. As Secretary of State, Mrs. Clinton operated a pay-for-play scheme with her family’s foundation. I’m fairly certain that Alexander Hamilton didn’t think being corrupt was a “requisite qualification” for being commander-in-chief. That suggests that he’s more than qualified to be this nation’s chief executive. What’s interesting is that Democrats have only proposed eliminating the Electoral College. They haven’t talked about reforming the way states award their delegates. It isn’t surprising why. If electoral votes were awarded proportionally instead of on a winner-take-all basis, Trump would’ve won decisively. Wouldn’t you love hearing Democrats explain why they’re opposed to such a reform? Recently and temporarily, Democrats have praised the principles of federalism. Those appeals are dishonest. Democrats’ love of federalism is as authentic as an atheist’s appreciation of Jesus. It’s time for Democrats to stop whining and accept the fact that their nominee was a corrupt, cold woman who ran one of the worst campaigns in history. That’s why she got trounced in the vast majority of battleground states. With all due respect to Rep. Dingell, that’s utter nonsense. The American people know exactly who they’re upset with and why they’re upset. Mostly, they’re upset that the Democrats aren’t listening to us. They’re upset that Democrats are doing their best to control every facet of our lives, whether it’s taking over the health care industry, financial institutions, student loans, car manufacturers and the energy industry. It’s time that Rep. Dingell quit with the spin and stop denying the fact that this is the most arrogant, most secretive Congress in history. It’s so secretive that they’ve written a health care law that they intended to impose on everyone except themselves, only to find out that they didn’t exempt themselves from it. This provision likely would’ve been stripped from the bill if the bill hadn’t been written by Democrats in Harry Reid’s office. We’re upset with the amount of reckless spending that’s happening in DC, too. Never in my lifetime have I seen spending be this out of control. It was bad under President Bush but it’s exponentially worse under the Obama administration’s control. The Democrats’ health care legislation raises taxes by $670,000,000,000. If the House Cap and Trade is signed into law, that would represent another $1,900,000,000,000 in tax increases, not to mention gas prices and home heating bills that “would necessarily skyrocket” according to President Obama. That’s without considering how Cap And Trade would bankrupt the coal companies, driving the economies in Indiana, Pennsylvania, Virginia, West Virginia, Kentucky and Ohio into total ruin. John Dingell has served too long in DC. He needs to go. He reminds me of a doddering old Sen. Howell Heflin during the Clarence Thomas confirmation hearings. Sen. Heflin was reading from the Democrats’ talking points when Justice Thomas told him that he’d gotten his facts wrong. Sen. Heflin’s response was first to flash a look of confusion, then saying that he was confused. Sen. Heflin never ran for re-election again. Unfortunately, Rep. Dingell will likely be re-elected as long as he wants to serve. The only things he’s contributed to Congress and to Michigan is higher taxes and his being named, along with Rep. John Conyers, CAIR-Michigan’s men of the year. Seriously, I wouldn’t doubt that Rep. Dingell thinks that people are upset for no good reason. Once you’re inside DC’s echochamger, the whole world changes. It’s a world where Speaker Pelosi’s words are treated as gospel. In the real world, it’s the people’s words that should be treated as reality. The ultimate test would be to have Rep. Dingell talk with people on the street in Michigan, find out what their priorities and their worries are. Then I’d have him ask them whether they’ve ever attended a TEA Party rally. I’ll bet that the TEA Party people that Rep. Dingell would talk with would know what they’re upset about. Who knows? He might actually learn something and become a public servant again. It’s the highest stakes ever for a Nevada election, and former boxer Sen. Harry Reid is on the ropes early. Either Republican Danny Tarkanian or Sue Lowden would knock out Reid in a general election, according to a recent poll of Nevada voters. The results suggest the Democratic Senate majority leader will have to punch hard and often in order to retain his position as the most accomplished politician in state history, in terms of job status. Nevadans favored Tarkanian over Reid 49 percent to 38 percent and Lowden over Reid 45 percent to 40 percent, according to the poll. “He fights for Nevada on those issues and others every day and he’ll continue that battle to get our economy back on track,” Reid spokesman Jon Summers said. Reid also will remind voters, and influential fundraisers, that his in-state connections and national clout can pay dividends for all of Nevada. “Senator Reid’s leadership for Nevada has earned him broad support, including from nearly 150 Republican leaders in Nevada who recognize that he is a powerful voice for Nevada,” Summers said. QUESTION FOR MR. SUMMERS: If Sen. Reid’s support is so broad, why is he garnering only 40 percent against two unknowns? Anytime that an incumbent is having difficulty reaching the mid-forties, he’s history. The only way an incumbent wins in that environment is if he got an ACORN-driven wave of support. That or if he overwhelmingly wins the cemetery vote and if the cemetery vote has a particularly high turnout. Short of that, it’s time to get out the jelly because Reid’s toast. House Judiciary Committee Chairman John Conyers (D-Mich.) could face a tough reelection race in 2010, according to a new, independent poll released this weekend. 40 percent of Conyers’s constituents said he deserved reelection, according to a poll conducted earlier this month by the Lansing, Mich.-based Deno Noor Polling, in conjunction with the Rossman Group and Perricone Group. 44 percent of Detroiters represented by Conyers said they would prefer to elect someone else. 15 percent were unsure or didn’t know. These are difficult numbers for an incumbent. Anytime the incumbent is that far below 40 percent, re-election is difficult, assuming Republicans can find a competent candidate to run against him. I’m not guaranteeing this will be a GOP pickup. In fact, I could easily picture Conyers retiring in favor of a younger man that isn’t carrying Monica Conyers’ baggage on his back. Democratic activists said that Mr. Obama’s election last fall provides ample proof that he is capable of overcoming gaffes and bad poll numbers. Whether he will do that this fall, though, remains clouded by a health care debate that is staggering in its complexity. Deputy press secretary Bill Burton said the administration has long recognized that it could see dents in the widespread support the president garnered when he first took office if it undertook an initiative as potentially divisive as health care reform. “If getting health care reform done were a matter of making easy decisions and doing politically popular things, it probably would have gotten done a long time ago,” Mr. Burton said. What these spinners aren’t mentioning, though, is that then-Sen. Obama made his comeback while people still trusted him and before they saw his extremist agenda. President Obama was touted as a political healer with all the right policies to cure what ailed the United States. Independents are abandoning him like he was radioactive. That’s because President Obama isn’t trusted like he was last year. After the election, I said that President Obama should be frightened because prior to his election, he was seen as successful because of his speaking ability. I said in January that he’d be judged on whether he got things done that have improve Americans’ lives. Thus far, he’s failed that test miserably. The Rasmussen Reports daily Presidential Tracking Poll for Sunday shows that 27% of the nation’s voters Strongly Approve of the way that Barack Obama is performing his role as President. Forty-one percent (41%) Strongly Disapprove giving Obama a Presidential Approval Index rating of -14. These figures mark the lowest Approval Index rating yet recorded for this President. The previous low of -12 was reached on July 30. By comparison, President Obama’s Approval Index was +30 on January 22. Democrats smiled with confidence when they ran against President Bush in 2006. Now the tide has turned. Now they get to find out what it’s like to run with an unpopular president tied around their necks. As a result of the deal, party leaders have agreed to put off a House vote until the fall, giving members more time to digest the legislation, and opponents more time to attack it. The Blue Dogs also succeeded in cutting $100 billion from the overall cost of the bill, bringing the total price tag under $1 trillion. The legislation will now exempt small businesses with a payroll less than $500,000 from paying for any government-sponsored health coverage, double the $250,000 in the initial draft. Doctors and other health care providers would also be allowed to negotiate their payment rates with the government-sponsored health care arm. The new version of the bill also has a breakthrough on the concept of health care â€œco-ops,â€ seen by some as an alternative to a public plan. States would be allowed to create co-ops for residents to buy private insurance. But the Waxman-Ross deal will also keeps the “public option” of government-sponsored health care. The most appalling thing in this compromise is that Waxman and Pelosi kept the public option intact. As long as that provision is in health care reform, the legislation should be thought of as rat poison, albeit in this case watered down rat poison. Trimming $100,000,000,000 off the legislation sounds significant but it isn’t. It isn’t because there still aren’t provisions in this bill that deal with health care costs. There still aren’t provisions in this bill that prevent rationing of care for seniors, which will happen with the public option. 1. Any plan that includes a public ‘option’ guarantees rationing for seniors. 2. This bill does nothing to slow down health care cost inflation. Price controls aren’t the same as cutting the cost of health care. 3. This bill does nothing to introduce ‘level-playing-field’ competition. The only ‘competition’ included is the slanted battlefield competition of government-takeover health insurance and private sector competition. 4. The only thing that Chairman Waxman cared about throughout these negotiations was keeping the public option intact. He got that so he won this fight. 5. Blue Dog Democrats’ priorities in this fight weren’t about real reform based on competition, quality and improved access. The Blue Dog Democrats’ highest priority was in negotiating a lower sticker price to sell to their constituents. Everything else was unimportant to these Democrats. What’s essentially happened is that Blue Dog Democrats admittee that they’re liberals who are concerned with image more than they’re concerned with putting legislation together that reforms the health insurance system. After the Blue Dogs got rolled on Waxman-Markey, aka the National Energy Tax, I called them the “Thirty Pieces of Silver Democrats.” I admit that that’s a little undeserved but today’s deal proves yet again that the words Blue Dog Democrats and conservatives don’t belong together. Blue Dog Democrats are still liberals. They just aren’t as liberal as people like Maxine Waters, Barney Frank, John Conyers and Speaker Pelosi. It’s time that the NRCC started targeting Blue Dogs with ads highlighting their conservative talk when they’re in their district vs. their votes in THE DISTRICT. Frank was adamant that â€œthese two entities, Fannie Mae and Freddie Mac, are not facing any kind of financial crisis.â€ When the White House warned of â€œsystemic risk for our financial systemâ€ unless the mortgage giants were curbed, Frank complained that the administration was more concerned about financial safety than about housing. The Bush administration was right to be “more concerned about financial safety than about housing.” I wish Rep. Frank had been “more concerned about financial safety than about housing.” If he’d paid attention, we might’ve reformed these GSE’s and saved taxpayers hundreds of billions of dollars. It’s time for the Right Blogosphere to highlight Barney Frank’s statements at this 2004 hearing. They’ve been proven wrong in the extreme. I think he knew they were wrong because I think Barney Frank is a smart guy. Altmire, Barrow, Boyda, Cazayoux, Childers, Giffords, Gillibrand, Kagen, Lampson, Shuler, Stupak, Mark Udall (CO), Tom Udall (NM), Walz and John Yarmuth. Conyers, Delahunt, Collin Peterson and Bennie Thompson. If this was that important, why couldn’t Ms. Pelosi 12 of these 19 Democrats to vote for the bill? It’s time we laid blame where it rightfully belongs: at the Democrats’ doorstep. They ignored the problem when it was a manageable problem, then voted in droves against the bill that supposedly would’ve fixed the crisis. To say they aren’t to blame is laughable. Prior to todayâ€™s debate on the No Child Left Inside Act (H.R. 3036), House Republicans will move to force a debate and vote on legislation to keep the number issue on the minds of the American people, high energy costs, on the radar of this Democratic Congress. The measure, sponsored by House Republican Policy Committee Chairman Thaddeus McCotter (R-MI), would put Democrats on notice that Congress should not adjourn until a real, comprehensive energy reform bill is enacted into law. On Tuesday, Republicans actually gave Democrats the opportunity to vote for a real, bipartisan energy bill to begin taking steps toward lower gas prices. In fact, the measure was co-authored by Reps. John Peterson (R-PA) and Neil Abercrombie (D-HI) and co-sponsored by 38 Democrats, a sure sign that it would receive strong, bipartisan support on the House floor, right? Not so fast. Democrats actually defeated the proposal, with 24 of its own Democratic co-sponsors (including Rep. Abercrombie) flip-flopped and voted against it! Does that sound like the actions of legislators committed to lower gas prices for the men and women they represent in Congress? Of course not. Democrats were just looking for a vote, any vote, that looked like it was pro-American energy so they can move a step closer to skipping town once again. On August 1, Democrats adjourned Congress for five weeks without voting on an â€œall of the aboveâ€ plan to lower gas prices, and the American people were outraged. Have Speaker Pelosi and her Democratic colleagues learned their lesson? When the House votes on todayâ€™s GOP proposal to keep Congress in town until a real energy bill is signed into law, families, seniors, and small businesses across America will find out. I said here that Ms. Pelosi’s bill was a sham. I said here that the difference between the voting habits of Blue Dog Democrats and such radical lefties as Dennis Kucinich, Maxine Waters, Baghdad Jim McDermott and John Conyers was…almost nonexistent. Let’s compare the House GOP’s leadership with the Democrats’ hysterics-prone leadership. John Boehner has provided strong leadership. He’s also had a strong supporting team. 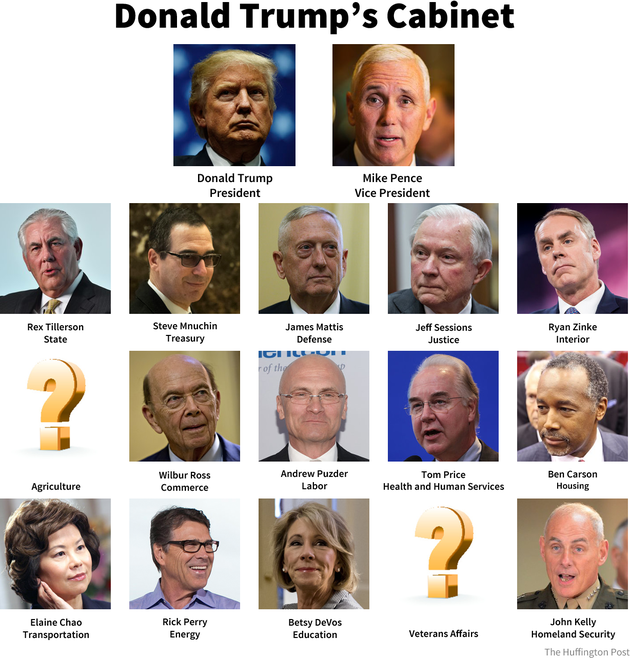 Mike Pence, Thad McCotter, Tom Price, Marsha Blackburn and Michele Bachmann were just a handful of leaders that pushed the energy debate. Without the fight that this group fought, Pelosi’s Democrats wouldn’t have brought another bill forward. Main Street wants…needs really…lower gas prices. The environmental extremists will do anything to protect the earth. If that means ruining the economy, then that’s fine with them. That’s why Speaker Pelosi’s hands have been tied throughout this debate. Thanks to the tireless effort of the House GOP leadership, we can now legitimately ask if the American people are better served by a leadership that puts Main Street’s interests first or if they want someone that puts the environmental extremists’ interests first. For most people, that isn’t a difficult question to answer, which is why I still expect Republicans to gain seats in the House. Of the 53 BDD’s, 42 voted for H.R. 6899. Only John Barrow and Jim Marshall voted against it. That means that 80 percent of the Blue Dog Democrats voted the same way as such environmental extremists as Dennis Kucinich, John Conyers, Maxine Waters, Henry Waxman, George Miller and Jim McDermott. “We’re not trying to give incentives to drill, we’re giving incentives to invest in renewables and natural gas that will take us where we need to go,” House Speaker Nancy Pelosi (Calif.) told reporters before the vote. I hope that the NRCC is paying attention. They should be making videos as we speak highlighting that quote. Anytime one of these representatives says that they voted to increase drilling, the video should run with Ms. Pelosi’s quote plastered on the screen for at least 5 seconds, followed by the representative saying that he/she voted for more drilling. The legislation is a bold step forward, helping end our dependence on foreign oil and increase our national security. It launches a clean renewable energy future that creates new American jobs, expands domestic energy supply, including new offshore drilling, and invents and builds more efficient vehicles, buildings, homes, and infrastructure. It will lower costs to consumers and protect the interests of taxpayers. It is a comprehensive strategy, and the product of bipartisan compromise. It offers Republicans who want a comprehensive approach the choice to make sure Big Oil pays its fair share. Increasing the supply of alternative fuel sources by setting a mandatory Renewable Fuel Standard (RFS) requiring fuel producers to use at least 36 billion gallons of biofuel in 2022. Although the President proposed a more ambitious alternative fuels standard in his State of the Union Address, the RFS in the bill he signed today represents a nearly five-fold increase over current levels. Reducing U.S. demand for oil by setting a national fuel economy standard of 35 miles per gallon by 2020, which will increase fuel economy standards by 40 percent and save billions of gallons of fuel. Last January, the President called for the first statutory increase in fuel economy standards for automobiles since they were enacted in 1975, and the bill he signed today delivers on that request. The bill also includes an important reform the President has called for that allows the Transportation Department to issue “attribute-based standards,” which will ensure that increased fuel efficiency does not come at the expense of automotive safety. The bill will require all general purpose lighting in Federal buildings to use Energy StarÂ® products or products designated under the Energy Department’s Federal Energy Management Program (FEMP) by the end of Fiscal Year 2013. The bill will update the Energy Policy and Conservation Act to set new appliance efficiency standards that will save Americans money and energy. The Act amends the Energy Policy and Conservation Act (EPCA) to prescribe or revise standards affecting regional efficiency for heating and cooling products, procedures for new or amended standards, energy conservation, energy efficiency labeling for consumer electronic products, residential boiler efficiency, electric motor efficiency, and home appliances. The bill will establish an Office of High-Performance Green Buildings (OHPGB) in the U.S. General Services Administration. This office will promote green building technology implementation in Federal buildings. Neither bill does anything appreciable to increase domestic oil supplies or shrink our dependence on foreign-bought oil. If that isn’t the definition of same old, same old, then a definition doesn’t exist for that cliche. The last bullet point says that this bill will produce “greater energy efficiency and conservation.” for the sake of this discussion, let’s say that that’s true. The next question I’d ask is whether this bill has better efficiency provisions than the efficiency provisions in the American Energy Act. My bet is that they aren’t. Even if the bill reaches the Senate, he said, the bill is in trouble, given strong opposition by Sen. Mary Landrieu, (D-LA), who calls it â€œdead on arrivalâ€ since it fails to provide revenue sharing between the states and federal government. â€œThe Senate will never pass a bill without revenue sharing, in my view,â€ she was quoted as saying. Ms. Pelosi just said that the bill doesn’t provide incentives for increased drilling. “The fact that he said it obviously is unusual,” the likely Democratic nomineee responded. This is actually quite revealing. It isn’t a stretch to think that Sen. Obama agrees with John Conyers, Russ Feingold and the rest of the Tinfoil Hat Brigade. Why else would he think that President Bush manipulated us into war with Iraq? Certainly the only ‘proof’ that’s been produced that President Bush lied us into war’ were the discredited Downing Street Memos. Thus far, only the Tin Hat Brigade has bought into that farcical tale. Sen. Obama’s reaction also tells us that he doesn’t need documented proof to presume Republicans are nefarious and dishonest. Whatever happened to independent verification and fact-checking? Does Sen. Obama think that that’s a right only afforded to liberals? Until Mr. McClellan offers documented, dated proof of his allegations, I’ll consider them just that: allegations. After much rehashing of this stuff, I won’t hold my breath on seeing documented proof, whether it’s from Mr. McClellan, the Wilsons or anyone else from the Tinfoil Hat Brigade. The postpartisan facade will fade fast if Sen. Obama continues hanging around with the Tinfoil Hat Brigade. It’s already disappeared as far as I’m concerned.